The base of this card is covered with with amazing sparkly paper by My Minds Eye. 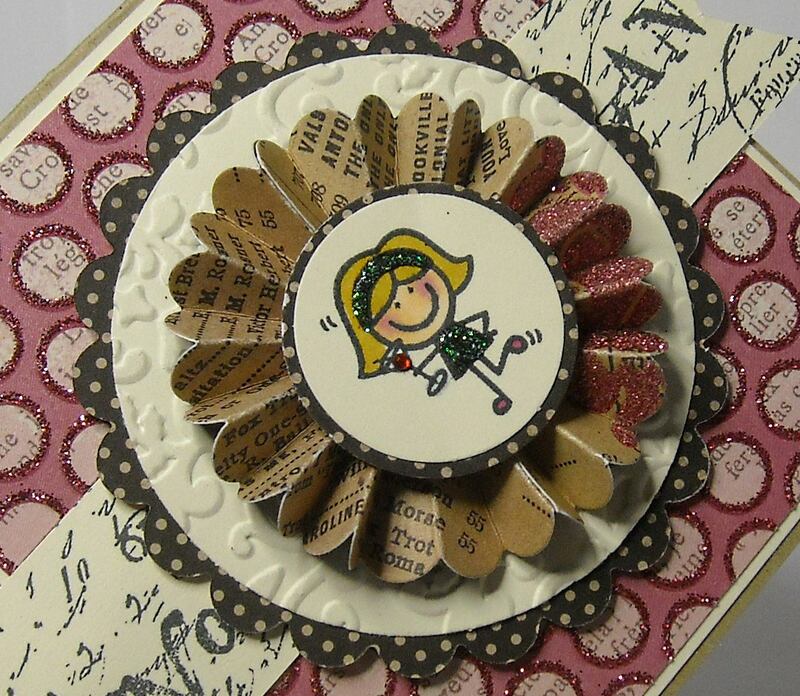 I then created a number of scalloped and embossed circles and a sparkly rosette to act as a frame around my party girl. 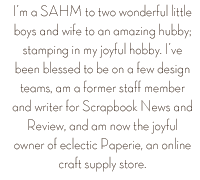 The paper banner has been stamped with a text stamp from Tim Holtz. The inside of the card has a sentiment that says "skip the cake, eat the icing!" The funny part about this card? I created it right before heading out to dinner with my friends and promptly forgot it on my dresser at home! Arrrgghhhh....Well I know she'll enjoy receiving a fun, glitter-filled card in the mail! :-) Enjoy and head on over to PSA to check out all of their fabulous stamps! We're starting a new monthly club at Wholly Scrap!...a Spellbinders Club! Each month we'll use a different die, and maybe even coordinating Just Rite stamps, to create a quick and easy project. Club members have an opportunity to purchase Spellbinders and Just Rite products at a discount! Live in the New England area? Contact us and sign up for the club! This is our project for this month, a super cute ornament! And I have to share that I adore the coordinating stamps for this set...so pretty! I used Tim Holtz embossed kraft paper for the bottom layer of the ornament and then created the top layer by stamping in red ink and coloring with green Copics. The sentiment is embossed in gold. The designer paper is from Kaiser Craft. 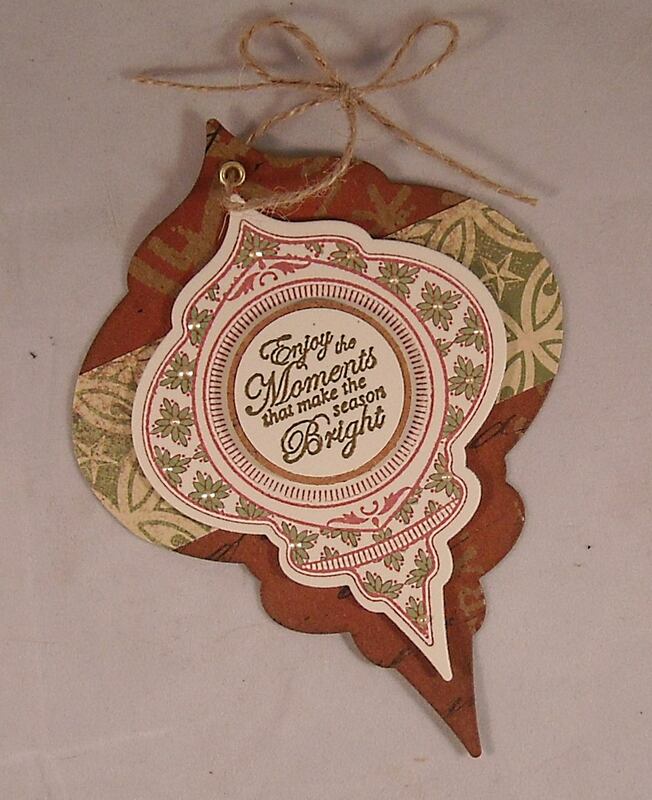 I could imagine making a bunch of these ornaments in all kinds of colors and designs - fabulous! Happy Monday! Boy, I took an unexpected break from blogging last week! It wasn't for lack of items to post but merely a lack of time to take photos and get posts created. Hopefully, I'll be more productive this week and you'll have more fun posts to read! 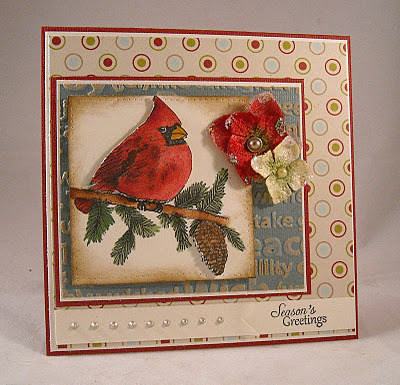 Today I'm sharing a project that I'll be demonstrating at an upcoming Wholly Scrap! class. I found a tutorial for this darling drawer and gift card set on Splitcoast. Although I will be forever template challenged (I seem to always make measuring mistakes...please tell me I'm not the only one! ), I found the drawer template easy to create and assemble. And I managed to measure and cut right the first time! LOL! 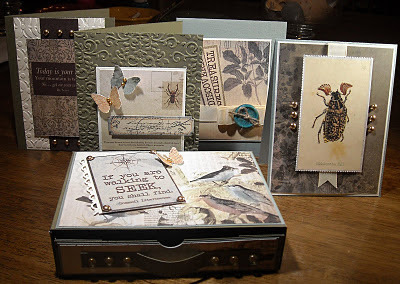 The paper I used for the drawer and the cards is from Kaiser Craft and is called the Hunt and Gather Collection. It's a beautiful paper line full of nature scenes, like birds, fish, and big 'ol bugs! The design also has a very vintage feel to it, which I love. Above you'll see a closer shot of the drawer. Don't you love that it even includes a little handle to pull the drawer out of its sleeve? So cute! 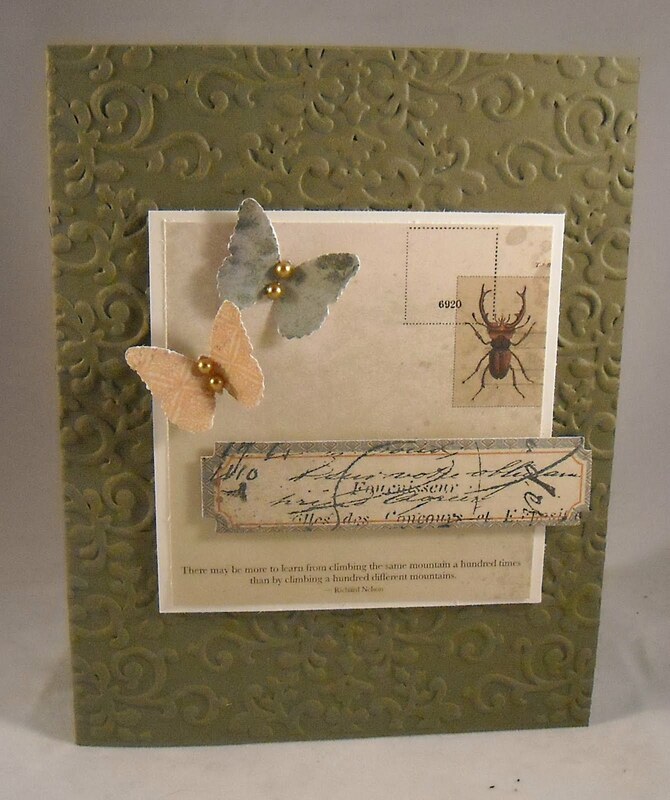 The little saying on top is also from the paper line, which included a 12x12 sheet of journaling cards and sentiments. The paper is so pretty that the top didn't need many extra embellishments. For the cards inside the drawer I decided to primarily use the remainder of the journaling cards since they were the perfect size for a standard card. For this card I only added ribbon, a button, and two phrases from the paper. Love the idea of discoveries and treasures, especially when one is out in the beauty of nature. 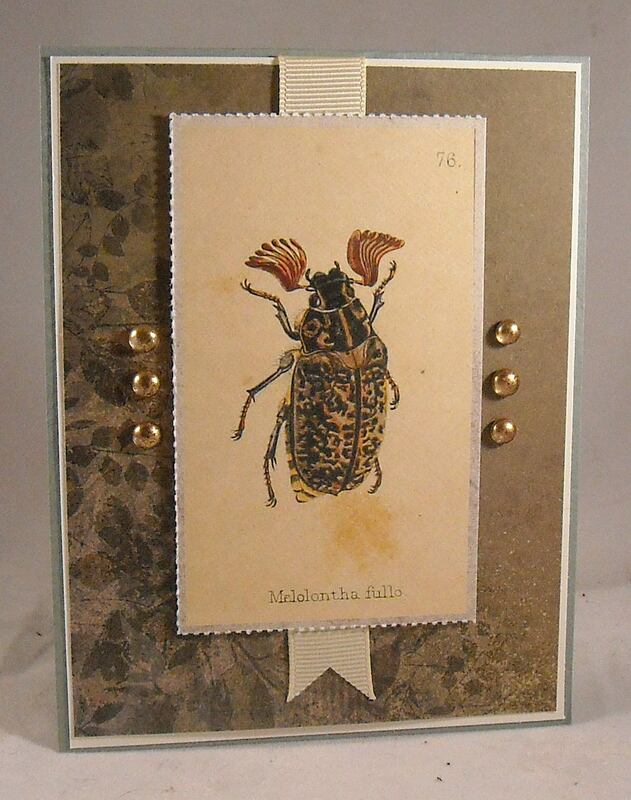 My second card features some of the designer paper and this delightful bug card. It's a massive bug that would probably cause me to scream if I ever saw one in real life, but he looks quite handsome on my card! 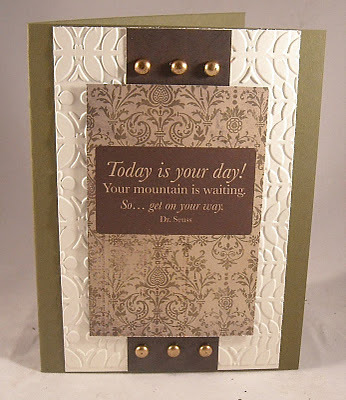 To dress up this card I embossed the main card and then added the cream designer paper. The two butterflies are from a Martha Stewart punch. I did add a bit of stamping, fun text from a Tim Holtz stamp, to the sticker file tab. (This line also came with a 12x12 sheet of fabulous stickers)! 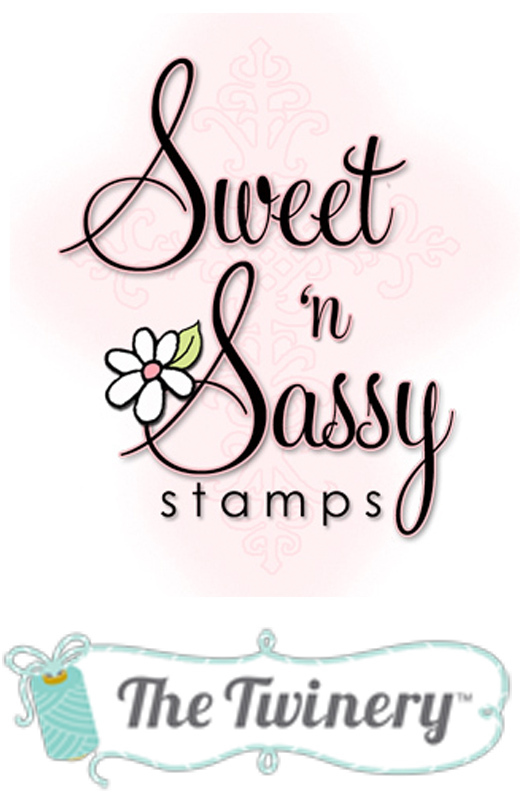 Welcome to the Sweet 'n Sassy & The Twinery blog hop! So glad that you found us and that you stopped by for a visit! By participating in the blog hop you'll have an opportunity to win one of two amazing prizes; The Twinery will give away One Ultimate Color Sampler Pack (a retail value of $25.00). The Sampler Pack includes 14 bundles of colored twine! 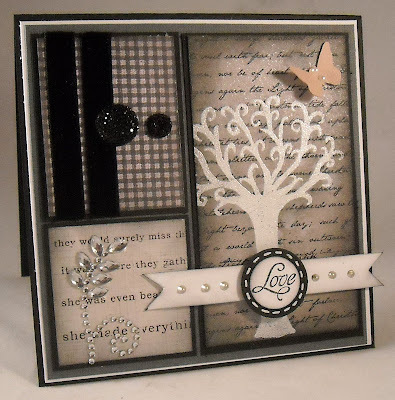 And Sweet 'n Sassy will give away the beautiful Season of Change stamp and matching die set (a retail value of $28.00) All you have to do is stop by the blogs on the hop list and leave a comment! You have until October 22nd to leave a comment! The winner will be announced on The Twinery and Sweet 'n Sassy blogs on October 23rd. For the entire blog list, you can visit the Sweet 'n Sassy blog. You should have come here from Hera Frei's blog. So how do you like the twine? I LOVE it and was so excited when Sweet 'n Sassy began carrying The Twinery's product! 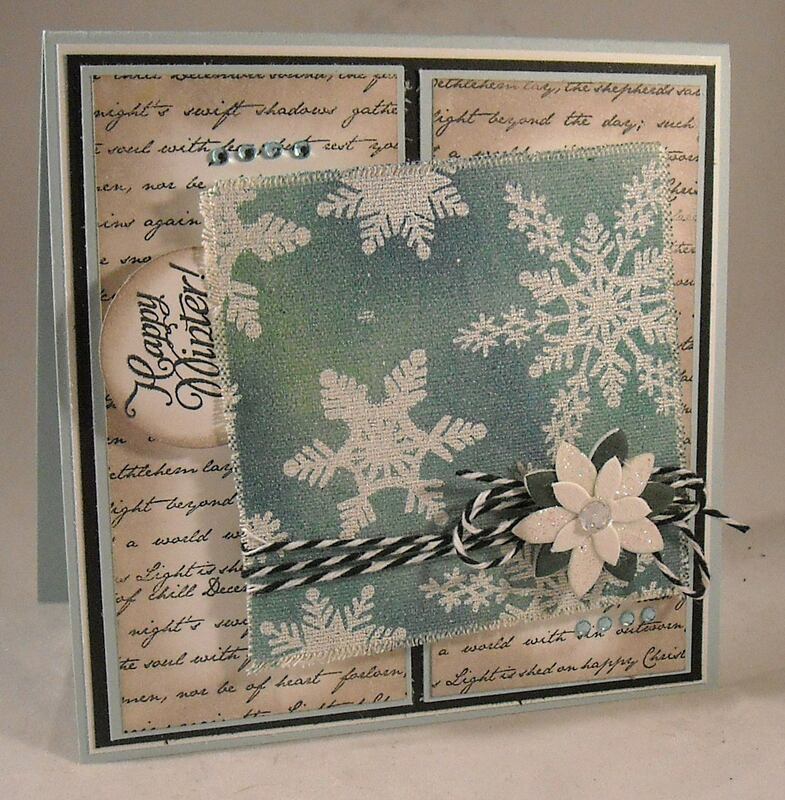 This card features two Sweet 'n Sassy stamps sets; Light of Christmas (this has turned into my favorite text stamp) and Snowflake Silhouettes. I used a fun new technique to create the snowflake background; stamping on canvas and embossing with white embossing powder. Once I had embossed the snowflakes I covered the entire piece of canvas with Distress Ink (Broken China and Tumbled Glass) and then spritzed the entire piece with Perfect Pearls. The Perfect Pearls creates a great shimmer! I frayed the edges of the canvas for that rustic look. A big of distressing, thanks to my Pumice Stone Distress Ink, a sentiment, a sparkly flower, rhinestones, and that lovely twine, in Charcoal, were the finishing touches! I hope you enjoyed the card! Your next stop on the hop is Jenny Suchin. Don't forget to leave a comment on each of the blogs for a chance to win! Have fun!! Enjoy and be sure to check back in tomorrow for the Sweet 'n Sassy & Twinery blog hop! 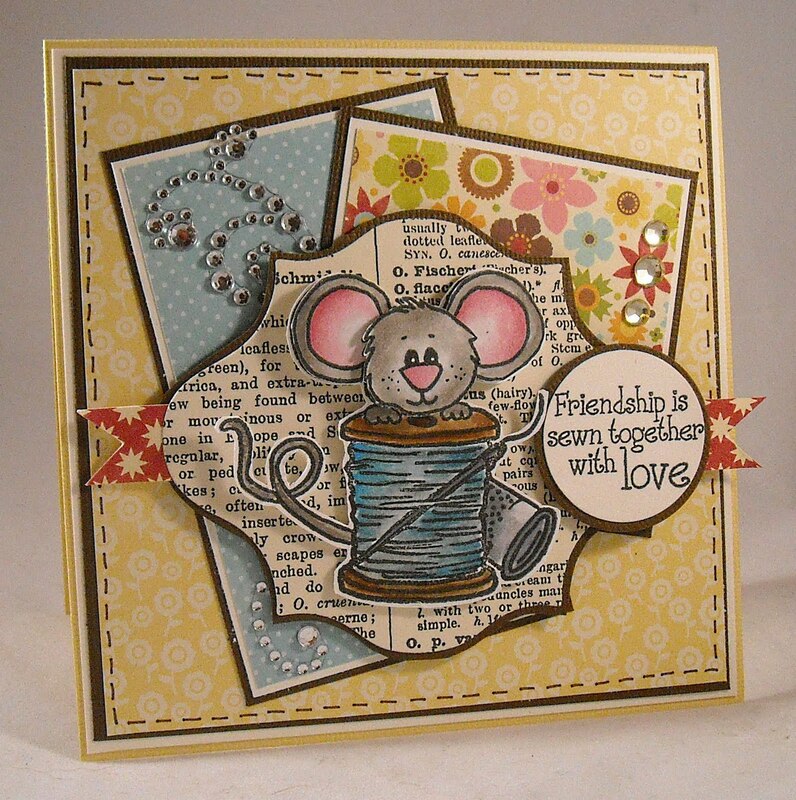 I have a card posted on the Sweet 'n Sassy blog today! Head on over for a visit and all the details on today's card! Stamp set used, Christmas Joy. 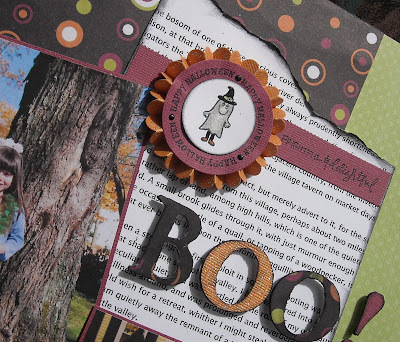 So today I'll share a happy Halloween page that I created for PSA Essentials. 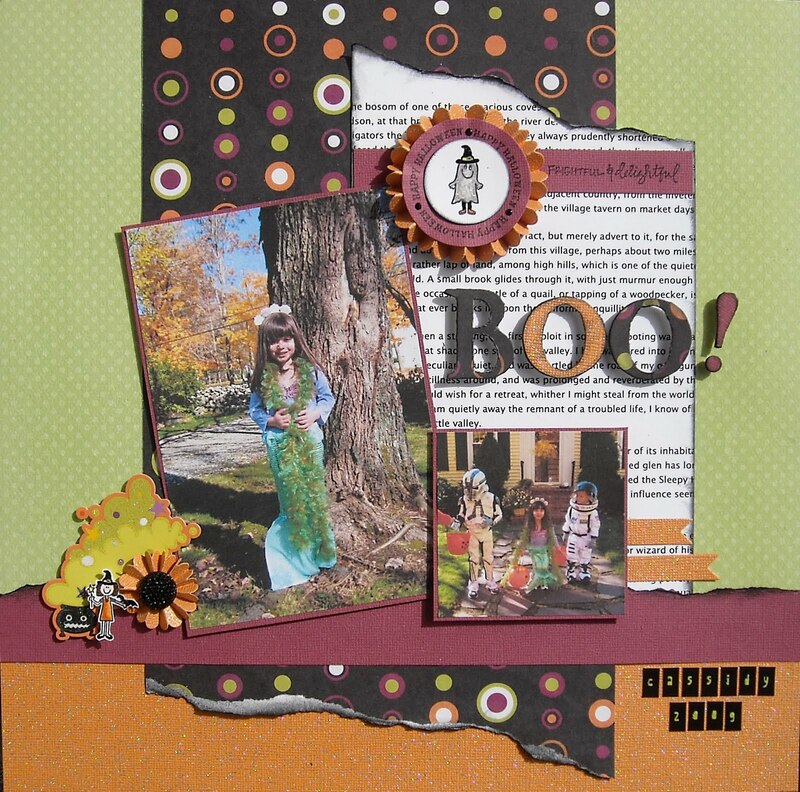 My October assignments included using the UBU Happy Halloween stamp set. Since we don't do much for Halloween and both of the stamp sets I used for this month's assignments screamed girl, I had to put out a plea to my friends for girlie Halloween pictures! A dear friend of mine offered up photos of her sweetie girl for my scrapbook pages! 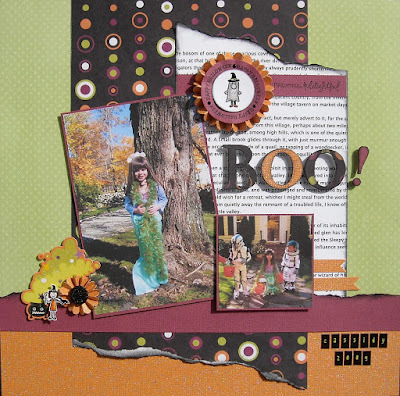 To create this page I used designer paper in the background (from Wholly Scrap!) and used the colors in the paper to drive what colors I would use on the rest of the page. 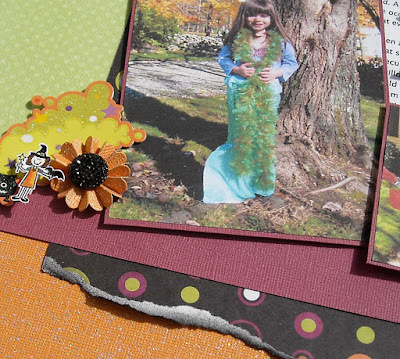 The green dot paper is from Bo Bunny and the orange paper has lovely glitter all over it..perfect for pictures of mermaids. The text in the background is actually the story of Sleepy Hallow, which is just printed out from my computer. The BOO! letters are from a pack of grunge letters that I covered with decorative paper. The first PSA Essential image that I used can be seen in the photo above; the little ghost and the Happy Halloween sentiment. The second PSA Essentials image is shown above, the dressed up little girl, which I colored, cut out and attached with foam tape. The other pieces include a few stickers from Best Creations, Sparklets from Kaiser Craft, and the rossette is from a The Cat's Pajamas die. Enjoy and be sure to check out the tons of stamp images from PSA...very fun stuff! Now on to today's creation! 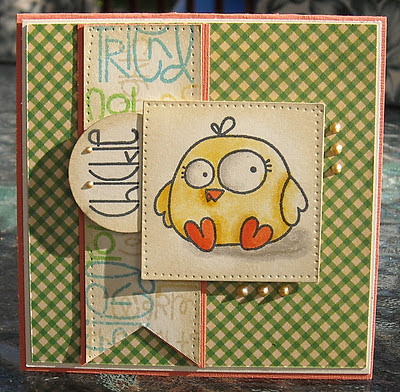 A tag featuring stamps by Paper Smooches! 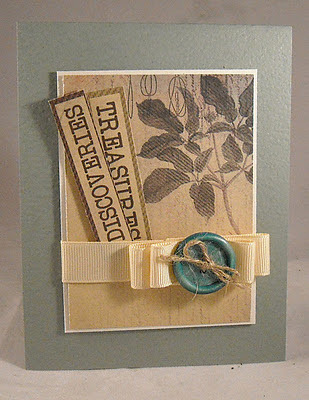 I created my tag by using the Tim Holtz large tag die (love that I can create a large tag in any color!). I used a Tim Holtz embossing folder to emboss the tag and then use white ink to highlight the embossed areas. Tissue tape (also from Tim) was used as a ribbon in the background and then I added the designer paper (notebook die from MFT), white circle, and spotted monster! I should note that the stamp, included in the Falling For You set, does not include dots. I drew those in after I colored the monster and then filled them in with a white gel pen. Buttons are from Papertreyink and twine (a perfect match to my monster!) is from Sweet 'n Sassy. Welcome! I'm so excited to be a part of the amazing blog hop for Operation Julie’s Smile. If you came here from Taylor's blog, then you are in the right spot. 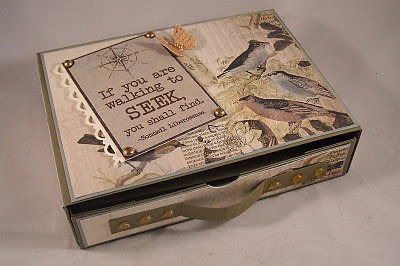 If not, you may want to start from the beginning at the Sweet Stamp Shop’s blog and take your time. You have ALL WEEKEND to hop with us and win prizes! The next stop on the blog hop is Monika Davis!! Here is some background on what this blog hop is all about! 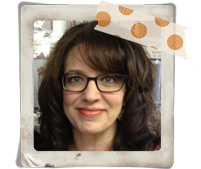 Julie Ranae is the design team coordinator for many wonderful companies from bakers twine, die cuts, rubber stamps and more. What many people don’t know about Julie Ranae is that she has had some pretty major dental surgeries in her lifetime due to medication she had to take as a child. It was in her plans to think about having all of her teeth replaced at some point in the next 5 years, a decision that was pretty easy to plan out. But then it happened…she chipped her front teeth on a weekend a month ago. The dentist told her there was no way to save them & that it was his recommendation that she give in and have them all her teeth removed soon, but for that day, they needed to get her front teeth done so her gums could begin to heal. He said he would 'work out payments with her to have ALL this work done...but when she called to make her appt for the first step of impressions, they told her the amount of money that was needed and that the 'payments' applied only to the two teeth that were extracted that day. Her husband Paul was with her & that too, was his understanding as well. So this is how she has found herself in this situation…Needing at least $4000 to get started and another $3000 to finish the process…a total of $7000. Nicole Rixon, owner of Sweet Stamp Shop put together this benefit after finding out about this situation and before Julie Ranae knew it, it took flight! Because she is an event organizer by trade, she has taken on the job of organizing all of the blogs in this hop as her way of ‘working overtime’ for what she needs, the same as if she were able to work overtime at an outside job to pay for the work to be done. It is the goal of all of these generous friends & sponsors to help make this situation more do-able for our friend so that she can share a brand new smile with all of us soon. If there is anything you can do to help with a financial donation, there is a donation button ready for you to click. Any amount is appreciated and ALL DONATIONS will be eligible for prizes from our sponsor pool of over $2500. 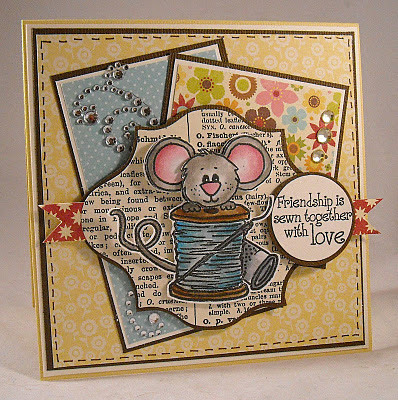 My card features stamps from Sweet 'n Sassy, this set is called Sew Happy. The design paper is from Jillibean Soup. I used this stamp set because of the sweet sentiment on friendship. I know you may hear this a lot but the craft community really is one of the best out there. I love that so many people have come together to help out a friend. Please try to give, even if it's a small amount, to help Julie out of this difficult financial situation. Thank you so much for stopping by to visit, I hope you enjoyed your stay! The next stop is Monika's blog. Make sure you leave a comment here before you go so that you can have a chance at the amazing prizes up for grabs!! Hi there! I'm excited to share this super cute and super simple project with you, which I created for a make 'n take we had at Wholly Scrap! last week! 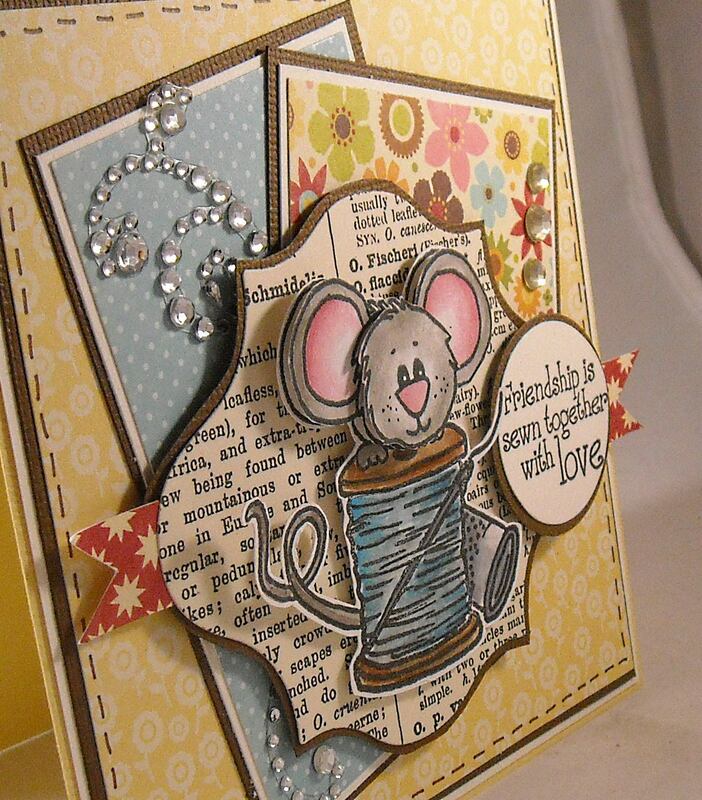 This cute test tube holder was created by following instructions found on Splitcoast, here. 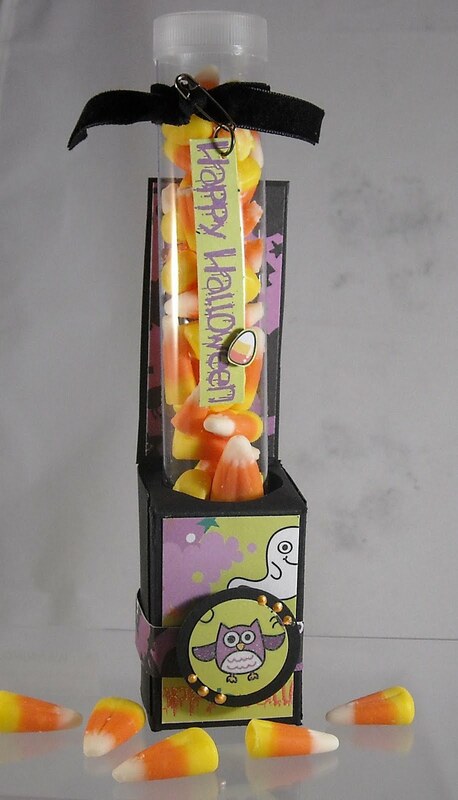 The holder was covered with Halloween paper from Best Creation. For the owl, I simply punched an owl out of the designer paper, layered a black circle, and added a few liquid pearl dots! The Happy Halloween sentiment is also cut out from the paper and attached to velvet ribbon with a tiny safety pin! Fun stuff!! Why not give this project a try today? It would be perfect for party favors too! You can purchase these tubes at Wholly Scrap! for .99! Enjoy and be sure to stop back on 10/7 for a HUGE blog hop to help out one of our fellow crafters!! I was hopping around Splitcoast this weekend and stumbled upon the Inspiration Challenge. I don't think I've ever created a card for this challenge so I thought I'd play along! The challenge was to use a photo from the online store, 2Modern. 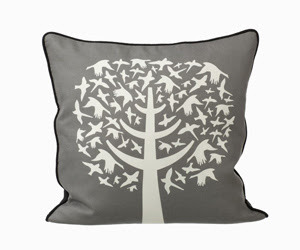 I took a look around the site and found a beautiful grey and white pillow that I fell in love with! 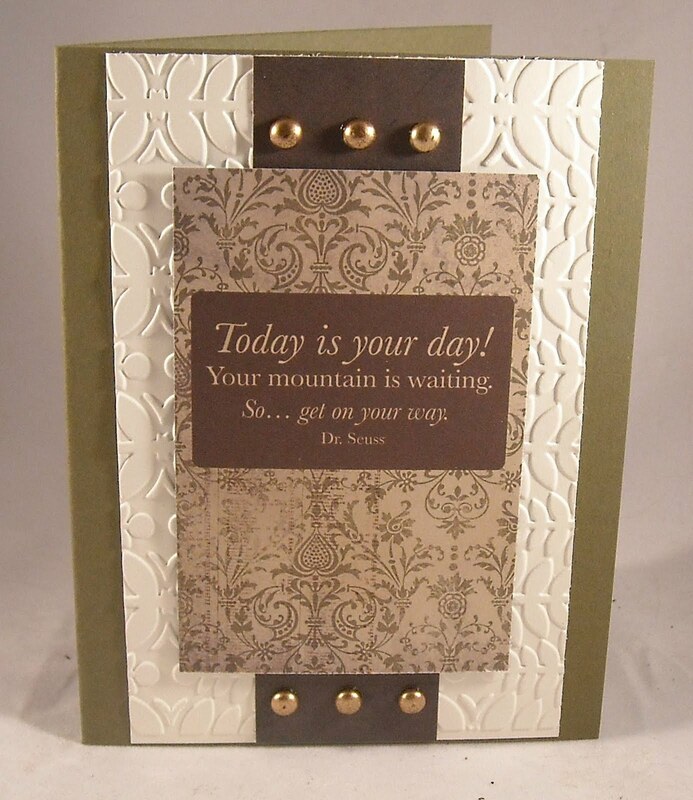 It was the perfect piece to inspiration me to create my card! The side panels simply contain two pieces of designer paper and some velvet ribbon and bling. The sentiment was stamped on a white circle, mounted on a black circle and then I added some faux stitching. The added a few dots of liquid pearls to the paper banner. The finishing touch was a tiny pink butterfly! I really liked this challenge for this week...why don't you check it out!